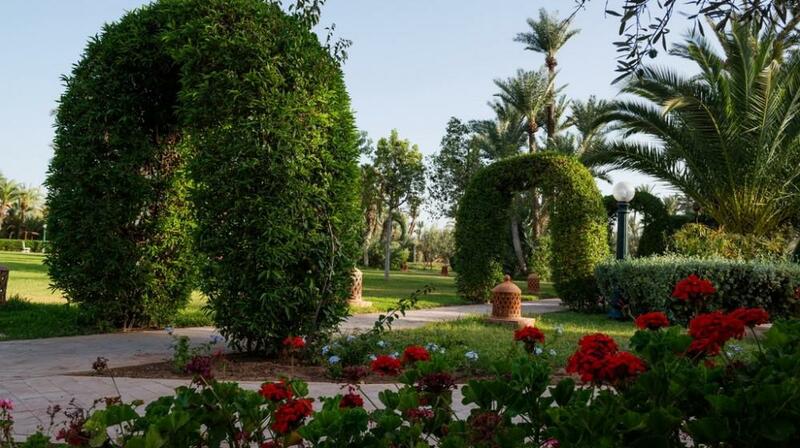 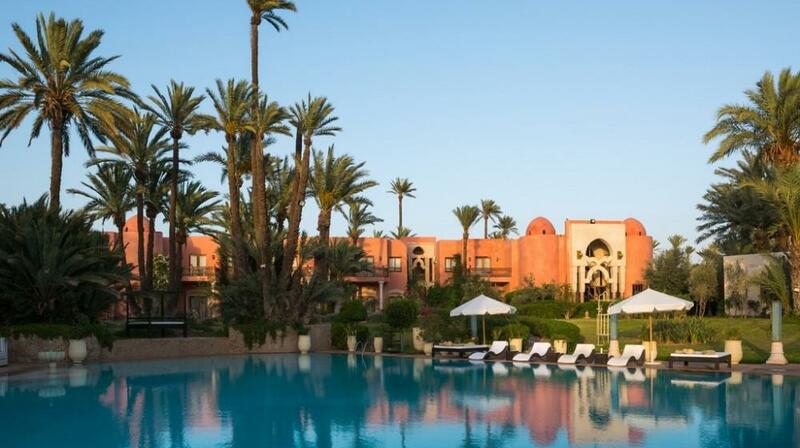 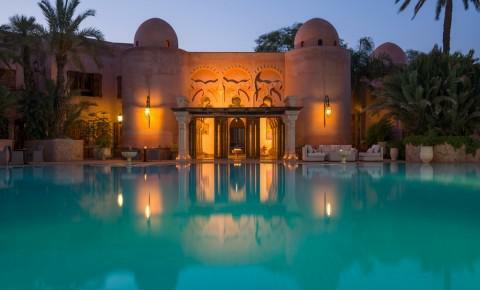 Palais Mehdi is an Hispano-Moorish styled palace rising in the midst of a sprawling 3-hectare oasis, surrounded by lavish, native palm trees and breathtaking gardens with blossoming bougainvillea, exquisite Marrakech roses and unexpected exuberant orange trees. 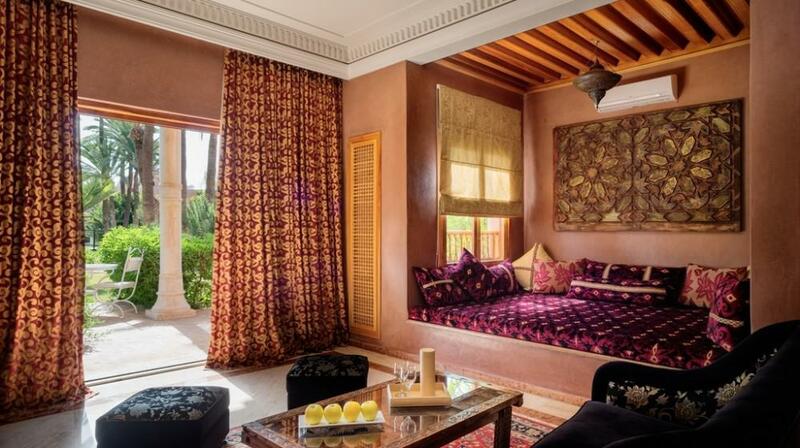 Elaborately furnished Moroccan-styled guestrooms, with touches of rich red velvets, golden accessories and traditional hand-designed mosaics, open onto and around the spectacular 400-square meter swimming pool. 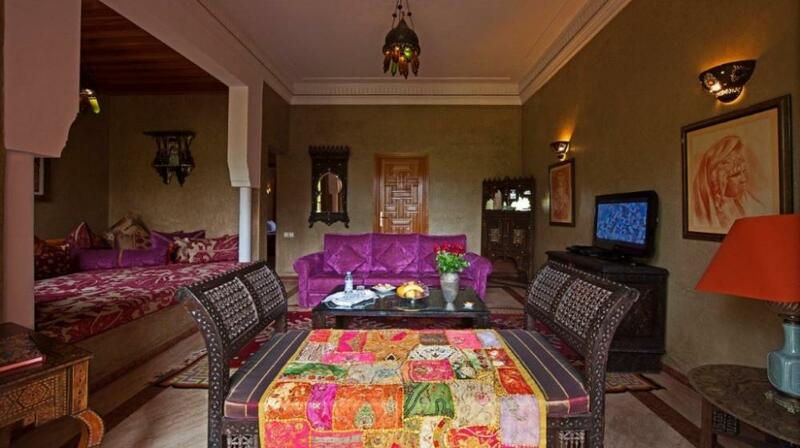 Each magnificent suite has its own private terrace with glorious views of the surrounding Andalusian basin and landscape, many with large capacious spaces, seating areas and canopied beds, all in shades of salmon, tobacco, almond and earthen reds, a simply fascinating, exotic mix of traditional, native designs and accessories blended with luxurious modern facilities for a truly Arabian-night experience. 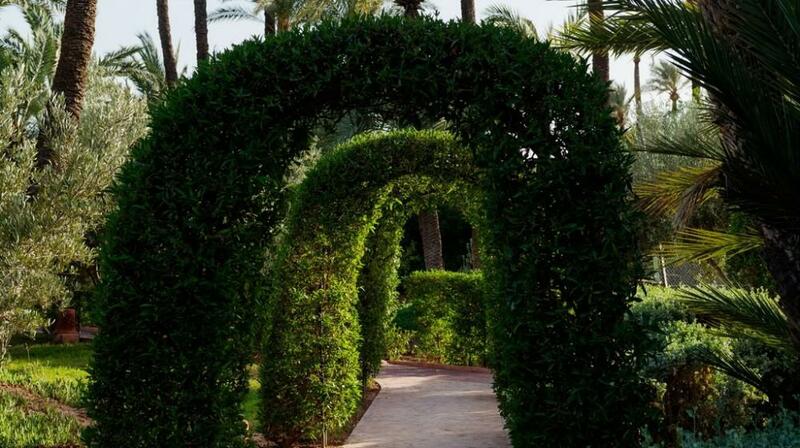 On the grounds of this exceptional structure one can enjoy the many leisure facilities at every guest’s disposal from the exceptional golf course, tennis courts, state of the art fitness and equestrian centres as well as an authentic hammam, sauna and massage treatments. 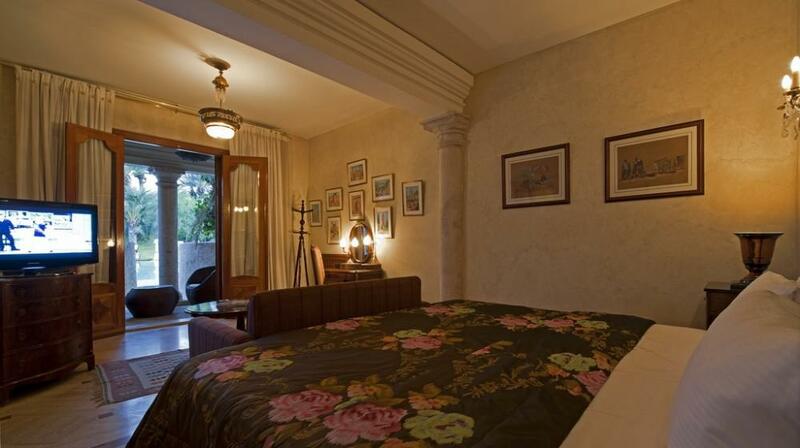 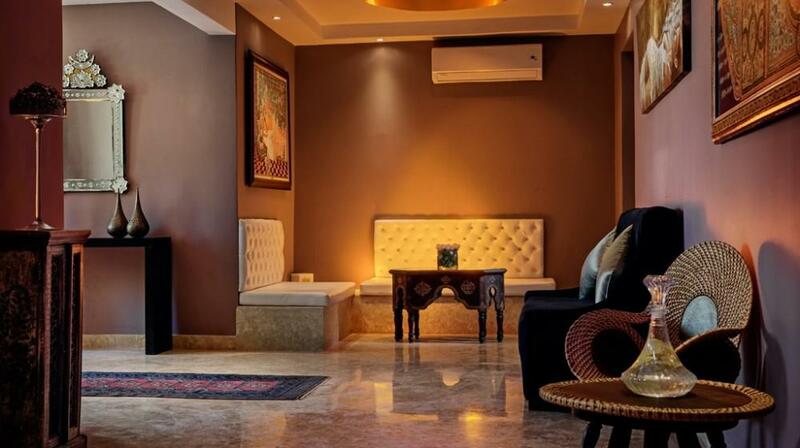 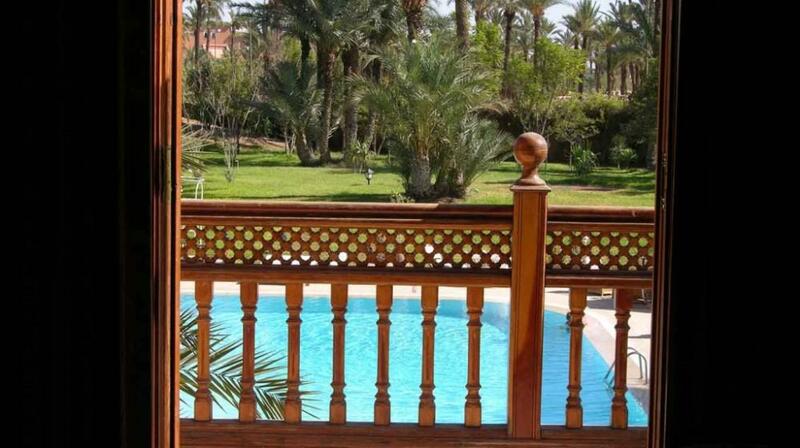 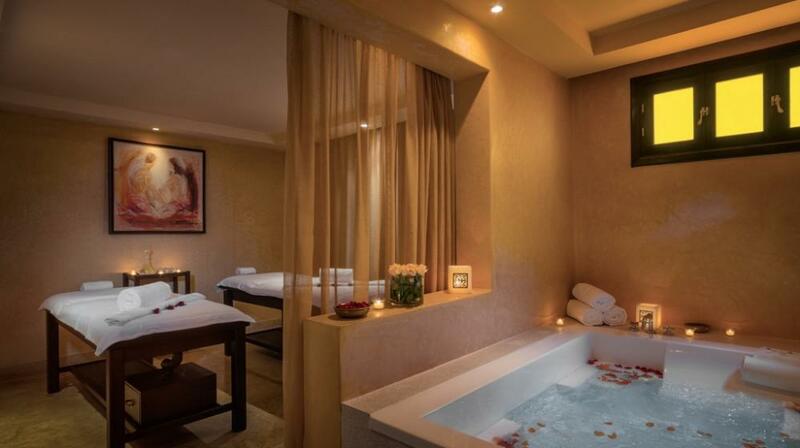 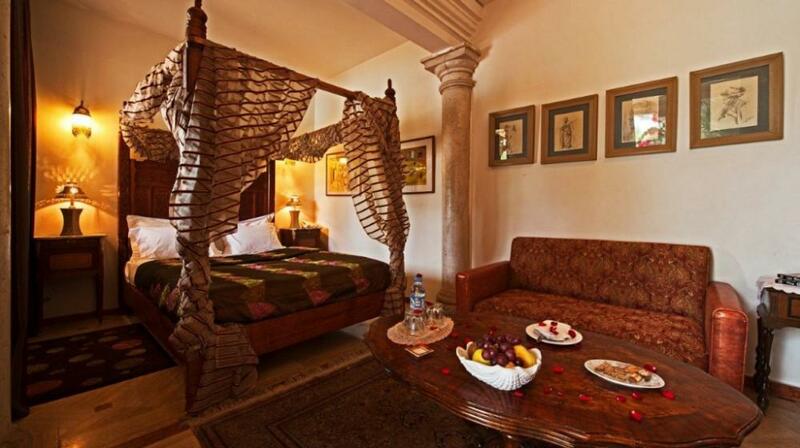 Indeed, this heavenly retreat will pamper, rivet and enchant even the most seasoned world traveller. 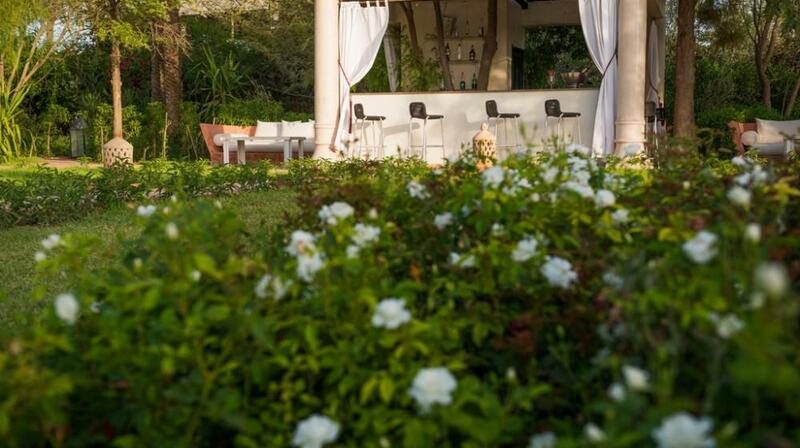 The 3000 + sq feet Royal suite is on the first floor of the main building, as such it has 3 three large private terraces with breathtaking views over the Palmeraie, the mountain chain in the back and of course the park and the pool. 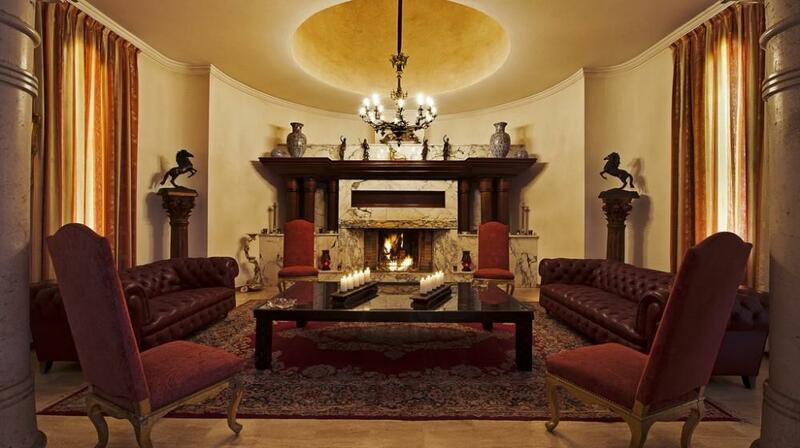 All have tables and lounge chairs. 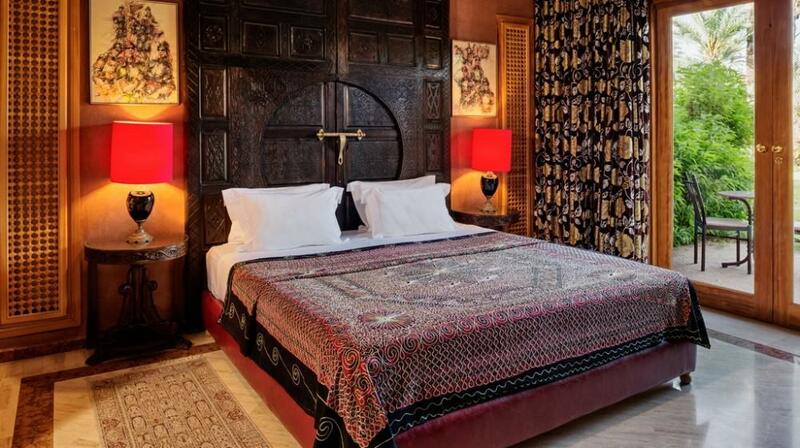 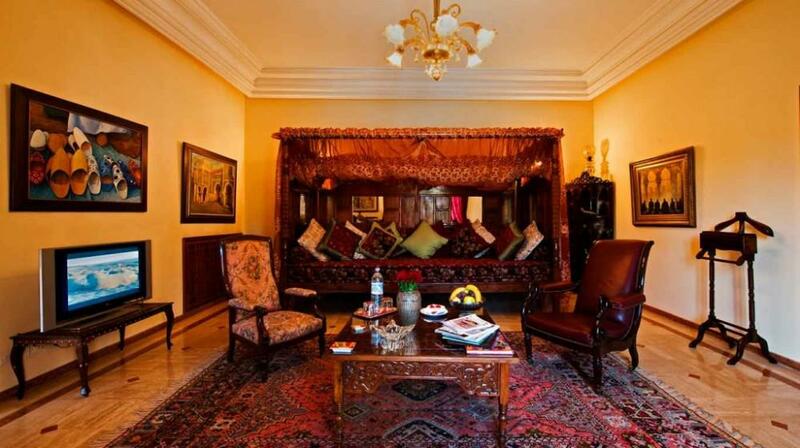 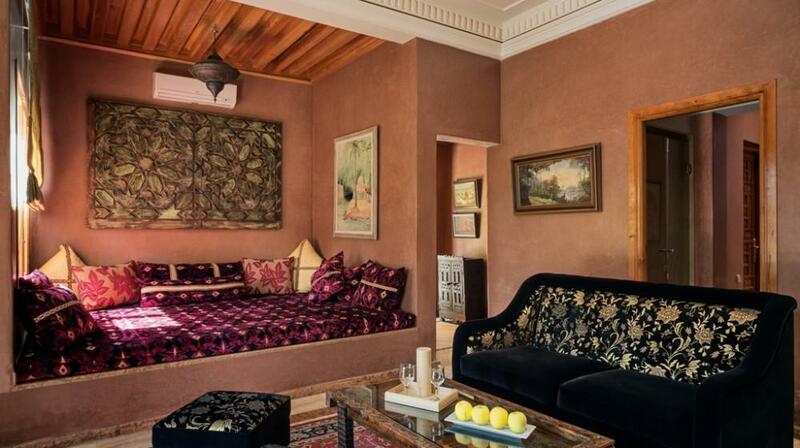 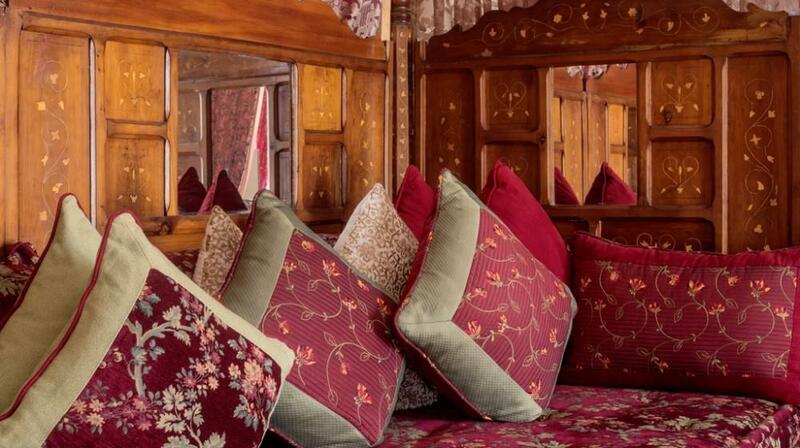 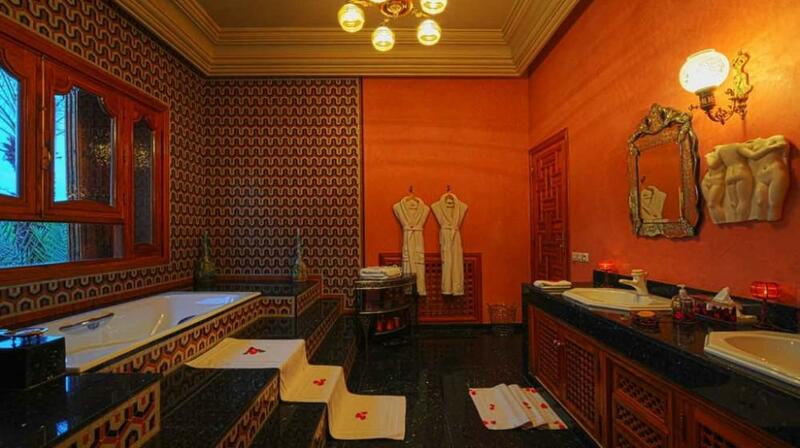 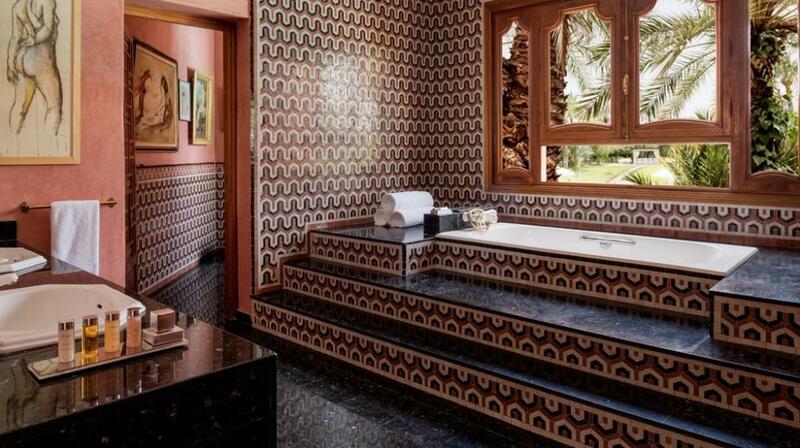 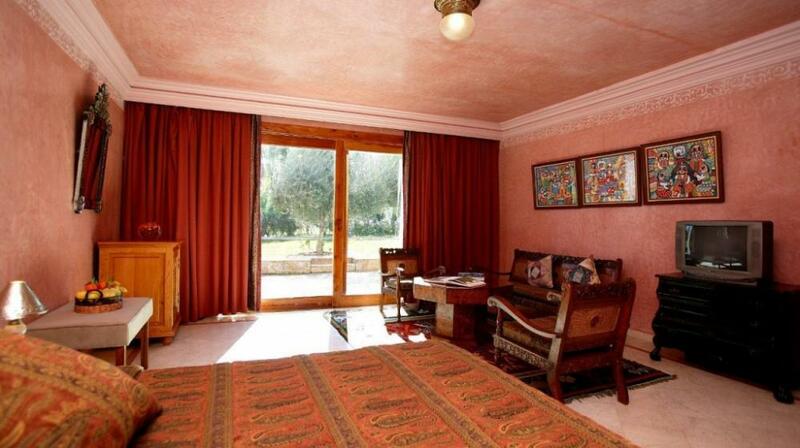 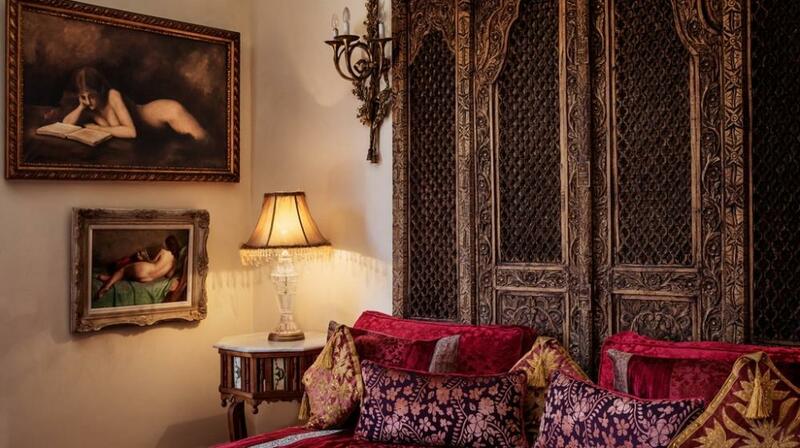 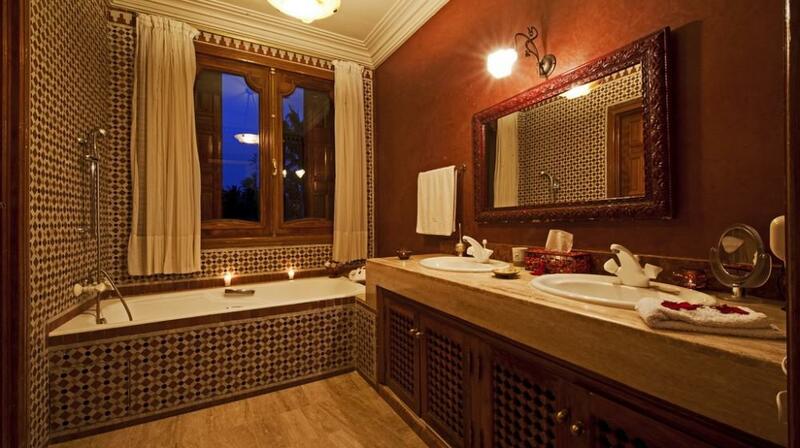 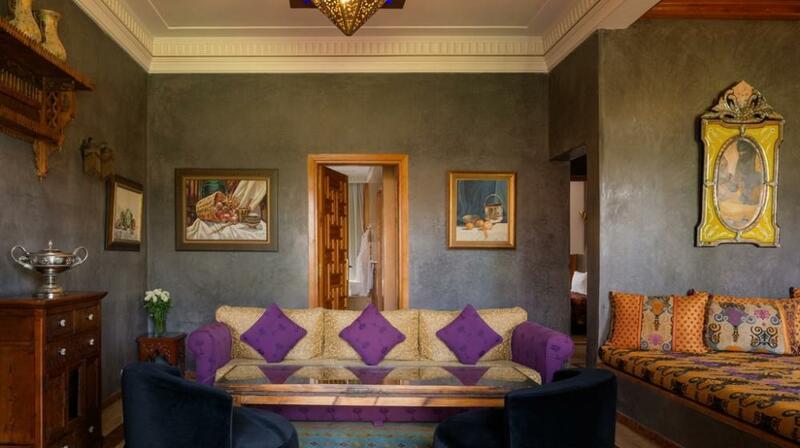 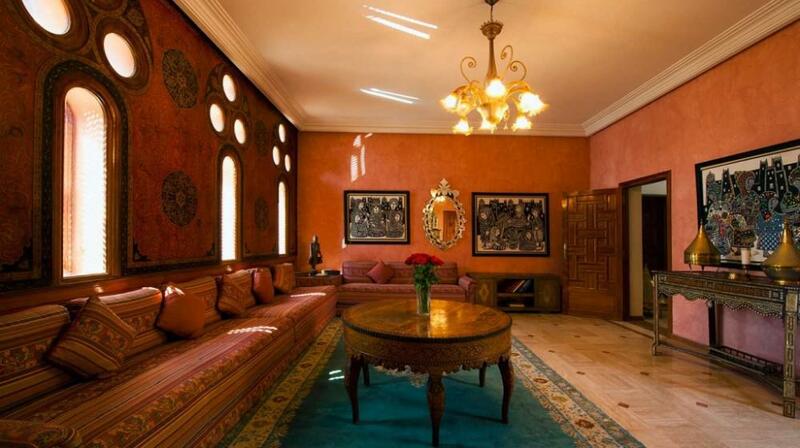 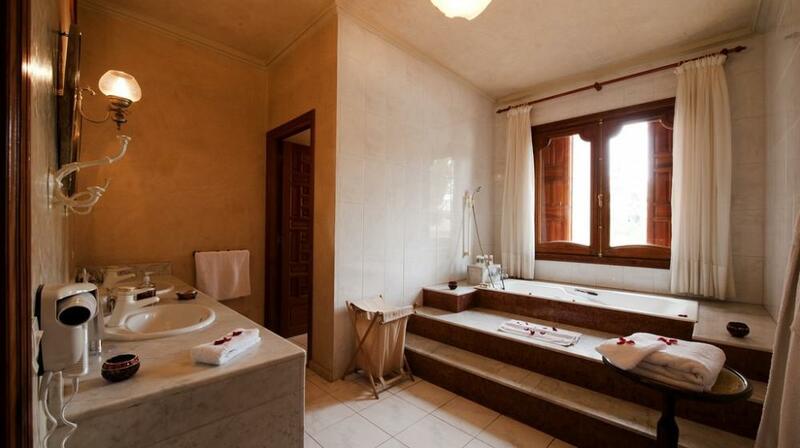 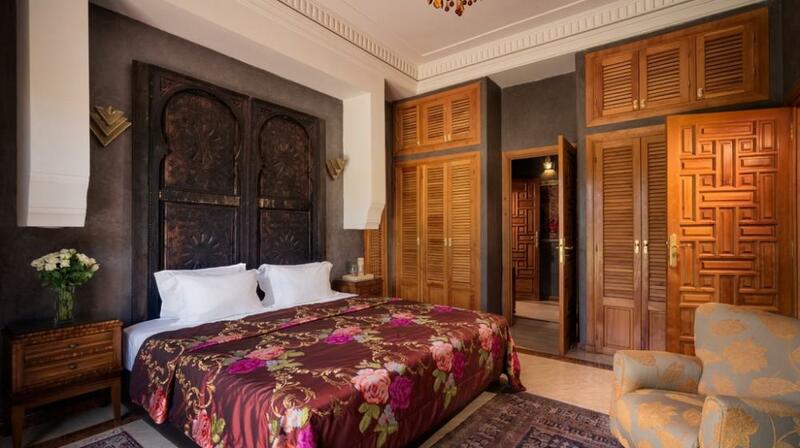 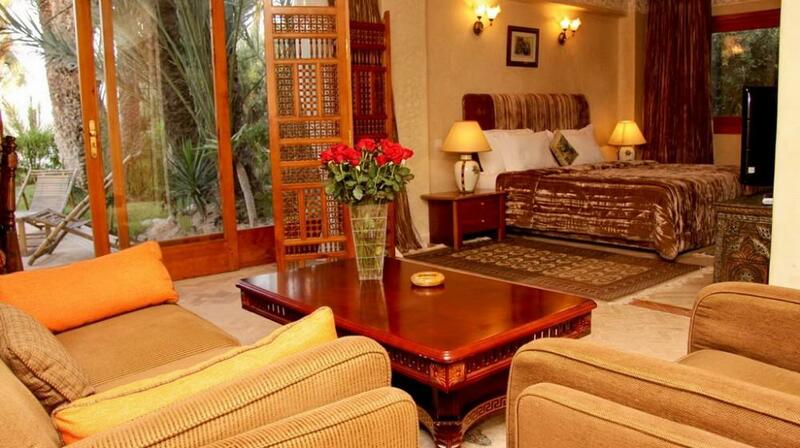 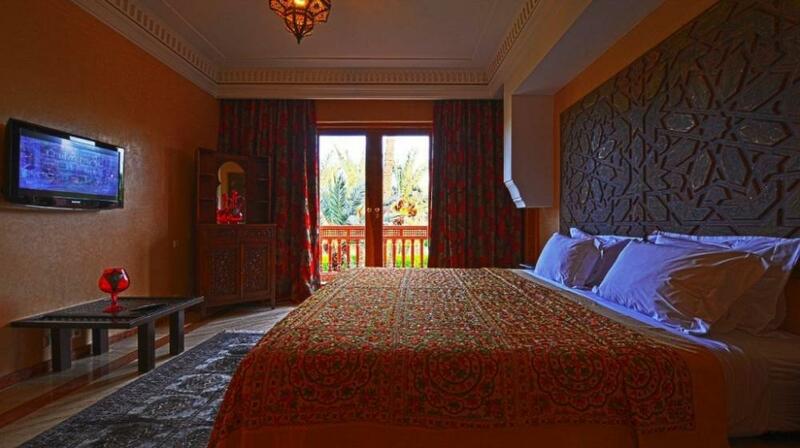 The Royal suite has a very large and traditional Moroccan living room with nacre incrusted furnishings through out. 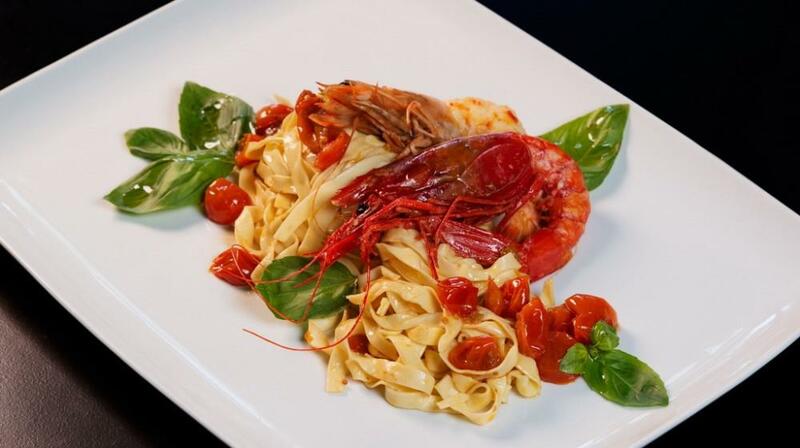 It is as 1001 as can be yet with a most delicate taste. 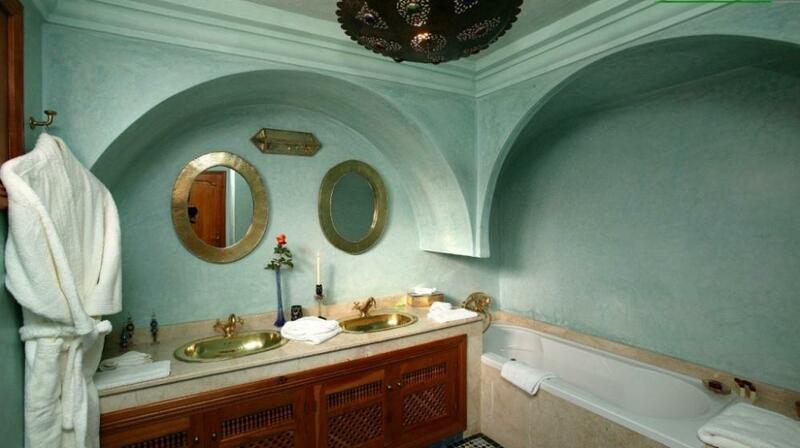 There is an anteroom with a large 19 Th century poster sofa bed, a very large dressing area with crystal mirrors and a very large marble and zellij bathroom fit for the royalty who has so often stayed in this suite. 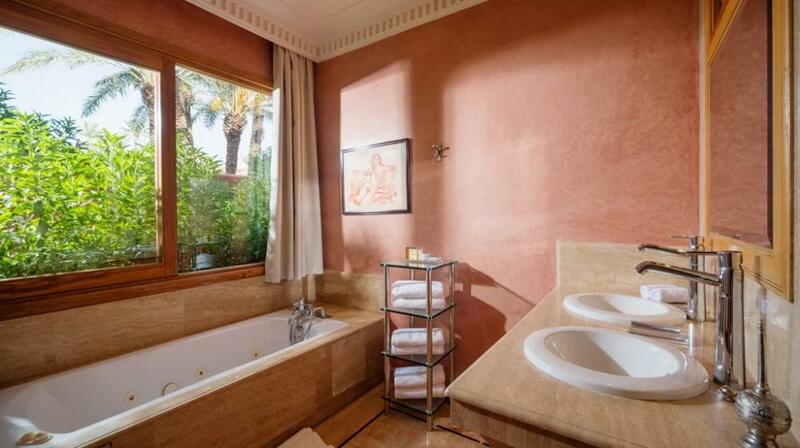 His Opinion: Je reviendrai...Cela vaut tous les commentaires. 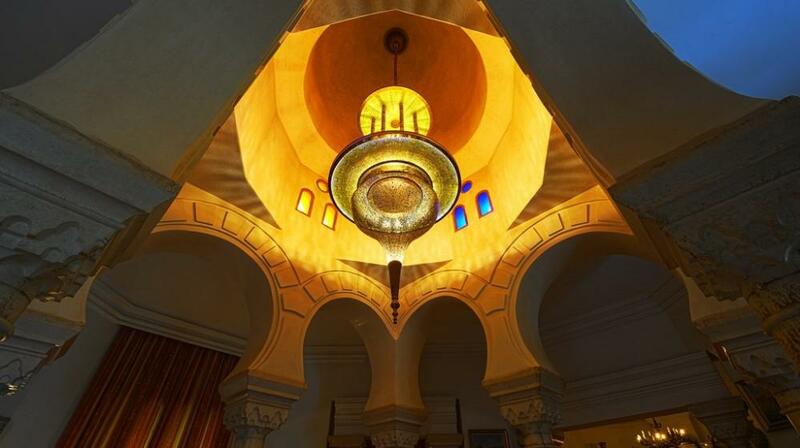 Magnifique endroit!